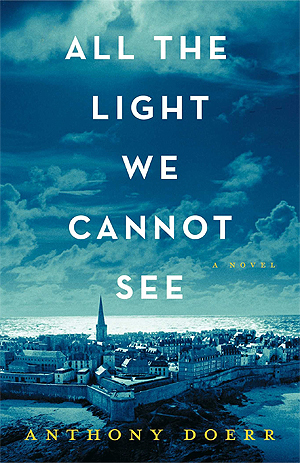 This morning I began reading All the Light We Cannot See by Anthony Doerr (one of the TBRs on my Kindle) and already I think I’m going to like it very much. A dramatic opening, immediately alerting me to the danger that is to come. All day Marie-Laure lies on her stomach and reads. Logic, reason, pure science: these Aronnax insists, are the proper ways to pursue a mystery. Not fables and fairy tales. I’ve added this to my ‘want to read’ shelf on Goodreads as I think it sounds amazing. I’m in the mood for more challenging books at the moment, *really* enjoying The Signature Of All Things by Elizabeth Gilbert. I’ve seen this one around and now I really do want to read. It sounds like an interesting pick. Enjoy! This book has been recommended to me by quite a few people, and I’m looking forward to reading it. The opening definitely makes me want to know what’s going on. My Friday post features The Storied Life of A. J. Fikry. I’ve heard a lot of good things about All The Light We Cannot See. It sounds like a great story. I keep coming across this book. It’s now going on my list. This is one I must-read! Happy weekend! I’m planning on listening to this on audio sometime soon. Thanks for sharing.